As I scanned the Internet looking for quotes to add to this post I was reminded of something the Governor said yesterday…it was something along the lines of it not being Fall without the Fair. As a kid I remember going on occasion in Wilmington. And, I have some wonderful memories of the Fair for Paula’s birthday in Asheville! Man, there is nothing better than the sunset over the mountains at the top of a Farris wheel! My first experience with the fair in GA was yesterday. Many things, when I look back one day, that are “firsts” for me in GA will have to do with traveling with the Governor. I am thankful that this is one of those memories. In our house, it would not be Fall without football. 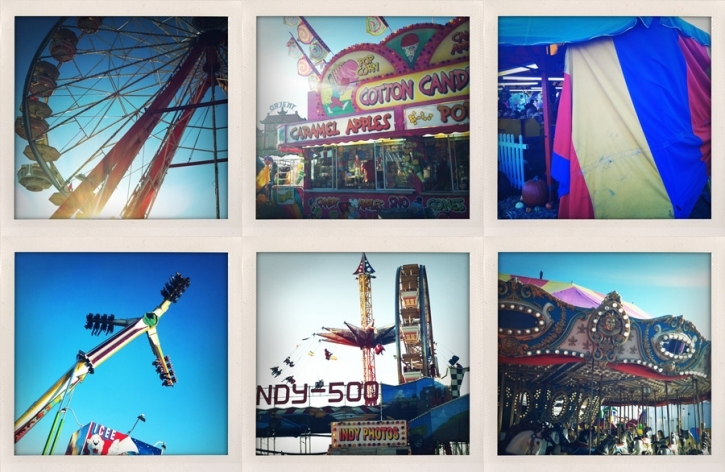 But, one thing is for sure, it is not Fall without going to the fair, or seeing one as you pass by down the road. Happy Fall Y’all! keri - Love the fair photos. They really have the look of Fall. So beautiful.